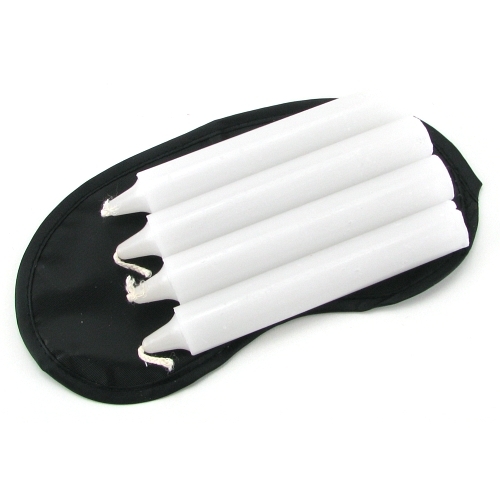 This little kit from the Fetish Fantasy Series includes 4 white, unscented hot wax candles that you can light up and drip slowly on your lover once you've blindfolded them with the included mask. The combination of heat and the unexpected adds lots of excitement to foreplay. As with any candle, use with care.